Products That Cut it ... Service That Cuts It! 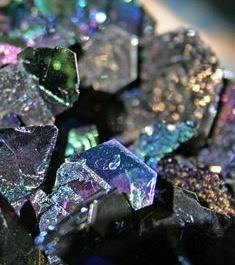 Electro Abrasives LLC is the only North American producer of water classified black silicon carbide and green silicon carbide powders and micro grits. We also produce macro grits and coarse mesh sizes in both Black & Green SiC for numerous industries and applications including bonded & coated abrasives, wiresawing silicon, refractories, technical ceramics, industrial abrasives, friction, metallurgical, foundries, polishing & buffing, and many more. Electro Abrasives also offers Boron Carbide in both coarse and fine powder sizes. Electro Abrasives offers short lead times, excellent quality, competitive prices, and the ability to produce custom sizing. We are committed to continual improvement and superior customer service!